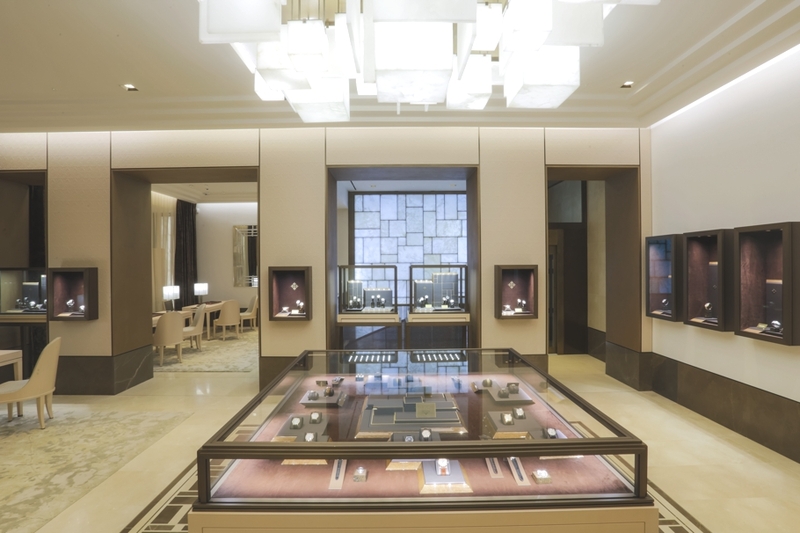 Paris-based international architectural practice AW² has designed the Patek Philippe project. 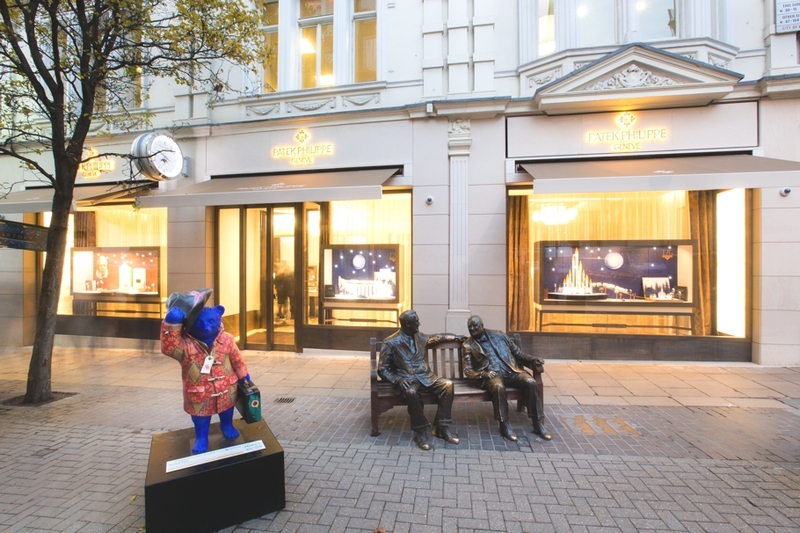 Completed in 2015, the new flagship store for master Swiss watchmaker Patek Philippe is located in New Bond Street, London, England. 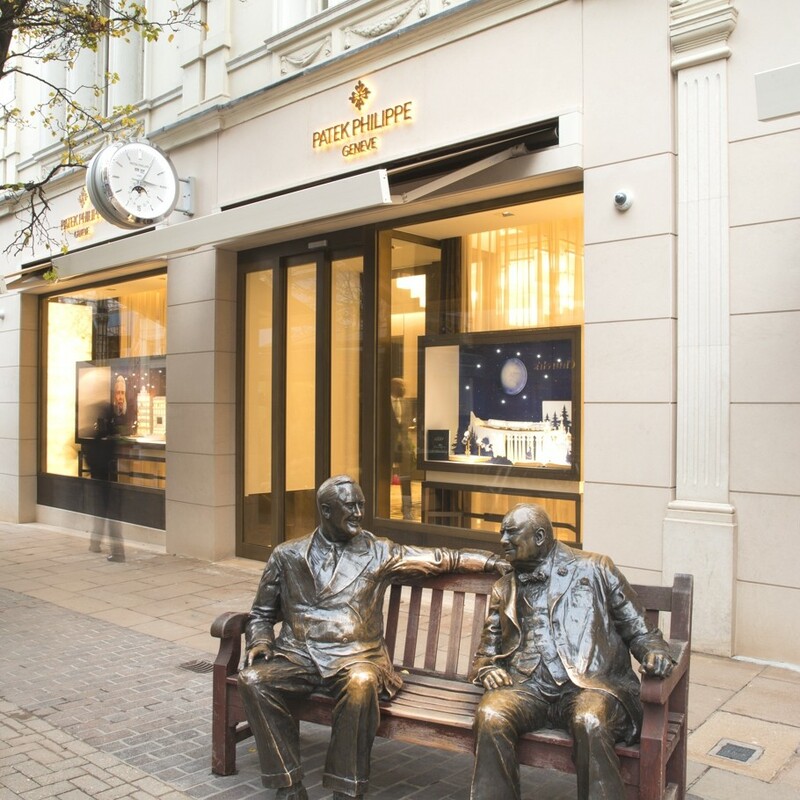 In 2013, AW2 was asked to design the new store for Patek Philippe in London. 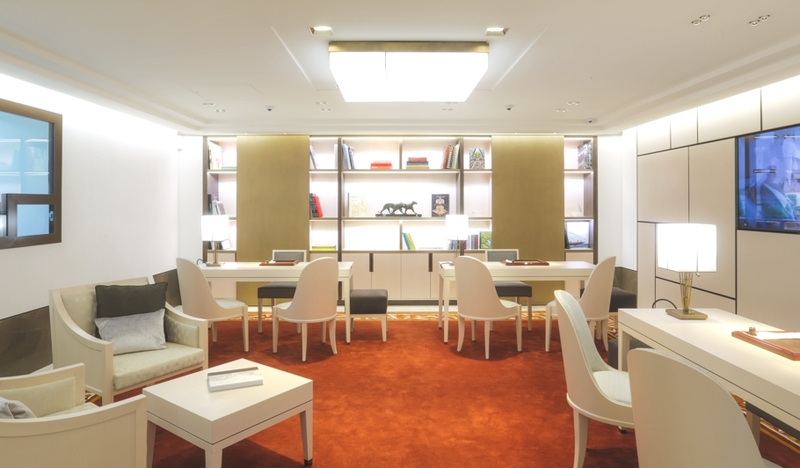 The project implied that the brand would extend its premises from the original 80 sqm to 420 sqm. It took just under 18 months to design and to complete the works, and the long awaited new shop opened earlier this year to the public. 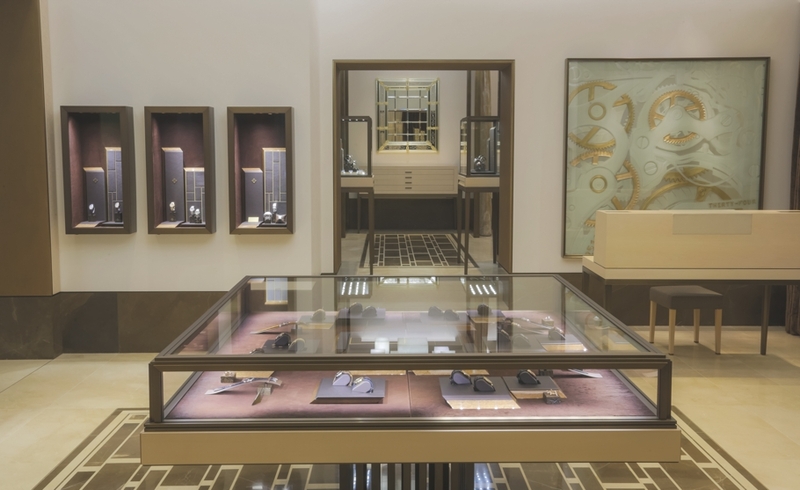 The design at the new Patek Philippe store was developed as a contemporary interpretation of the Art Deco style. Each element of the design reinvents codes of the original style into today’s world. 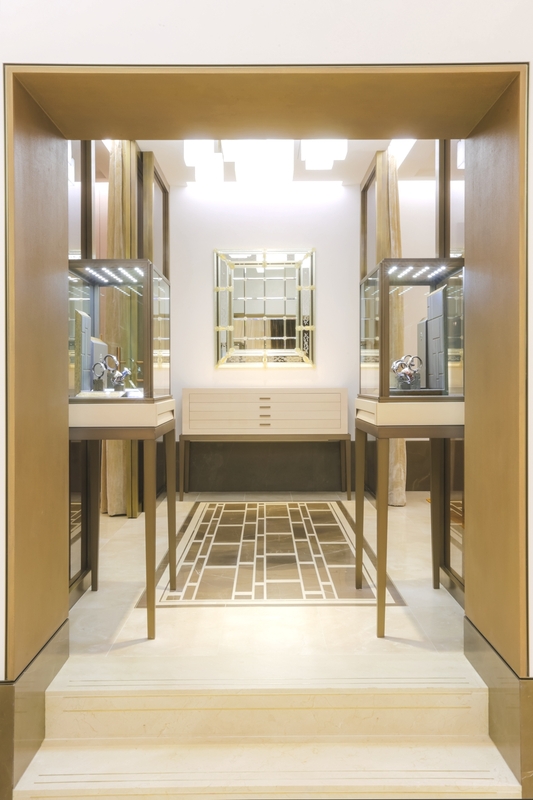 The designers picked all materials carefully to form a subtle range of natural colours from light beige to dark bronze. The colours are used to create a warm, delicate feel with a subdued sense of luxury and to set off the furniture and all the decorative elements specially developed for Patek Philippe. The cream and coffee coloured stones used for the floor are echo with the alabaster and bronze chandeliers on the ceilings, or the lamps on the sales tables. These lights were designed by Reda Amalou especially for Patek Philippe. The chandelier is a composition of alabaster cubes in various sizes, suspended from a bronze frame. 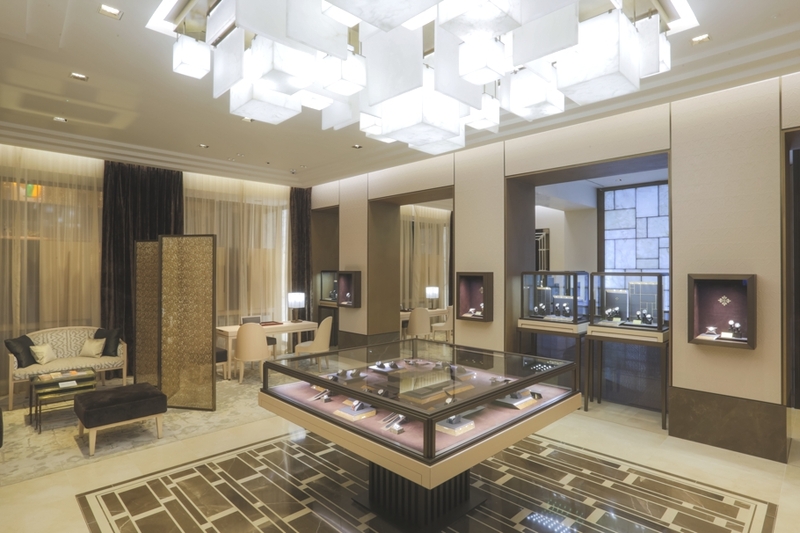 The main piece, a 2.6m square chandelier, sits at the centre of the salon, over the square display table. It diffuses light through the translucent alabaster, giving out a soft warm light and showing off the stone’s delicate patterns. Behind the circular staircase that leads you to the service centre, the alabaster has been used again as a assembly of panels, with bronze frames forming a giant, 6m tall, patterned wall of soft stone and light. 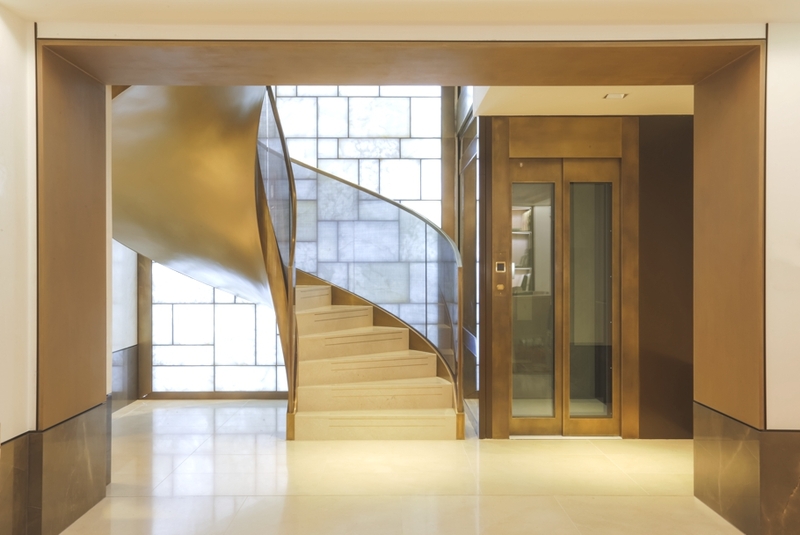 It sits in front of the sweeping staircase, with its curved glass handrails inlaid in fabric. The same glass is used around the stairwell. Great care was taken by the designers when selecting Artwork and decoration pieces, with contemporary pieces acquired, such as the wood carved painting in the VIP sales area. Hanging above the reception desk a unique glass bas-relief was commissioned. 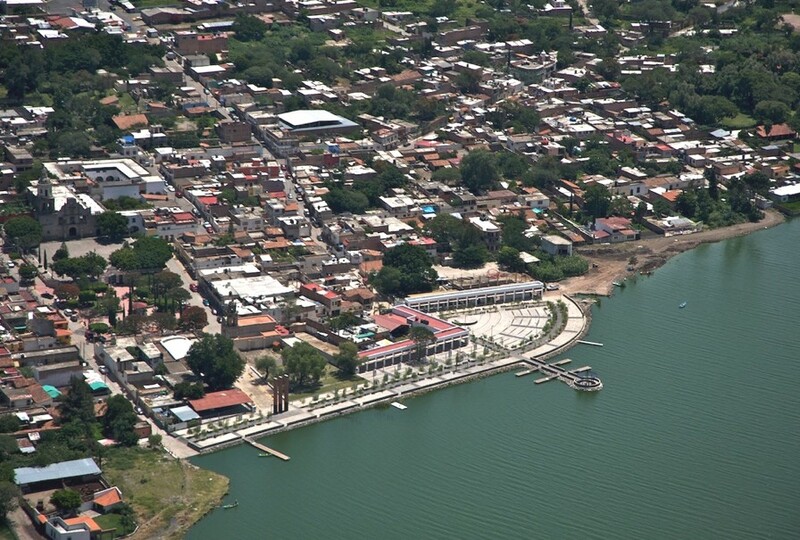 Guadalajara-based architectural practice, Agraz Architects, have completed the Cajititlan Pier project. Completed in 2011, the contemporary pier can be found in Cajititlan, Mexico. Great Minster House development is a prestigious new address in the heart of historic Westminster in London. 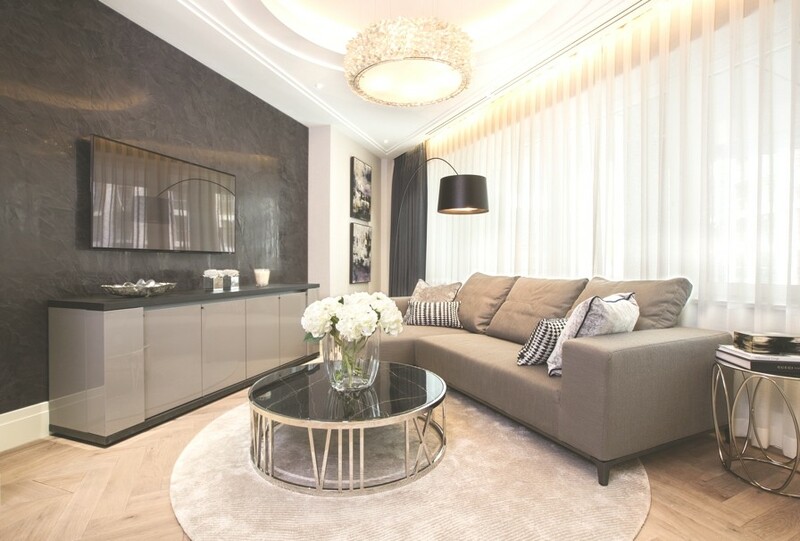 Set to open in July, the new homes by Barrat London are the company’s most luxurious to date.